Source of title proper: Title based on contents of sub-series. 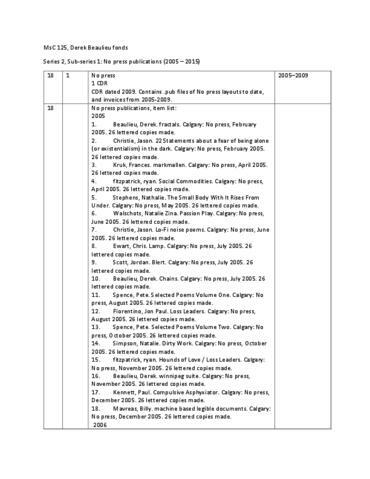 Order of publications is chronological according to creator’s bibliography. See also No press publications in SFU Library’s catalogue.